Some years back, a friend lent me a book called The Recording Angel: Music, Records and Culture from Aristotle to Zappa by Evan Eisenberg. Written in the mid-80s, Eisenberg’s book follows the trajectory of recorded music from its genesis, more than 100 years ago, to the present. Around the time Eisenburg was putting his book together, I was busy working with Lloyd Ross in a small mobile eight-track studio built into a caravan and housed in the garage of an old Crown Mines house in the southwest of Joburg. We had one thing in common – we loved music and we wanted to make records. He’d had a hit with the theme for a TV show called Vyfster and it brought in enough cash to float a multitude of projects. Ross and I encompassed the two fields of record making that still exist today. He recorded bands and solo artists using the gear to capture the live performances via microphones etc and then mixed it to completion using various studio tricks to get it to sound good. I used the studio to originate compositions of my own, playing all the instruments myself and painstakingly cutting up tapes to make loops, and using various studio tricks to enable me to sound like a whole band. 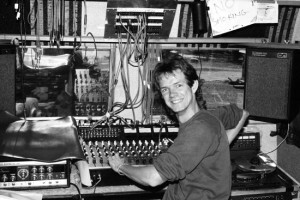 During the year it took to make an album, Ross would have done three or four. In fact, during the decade or so we worked together he must have done more than 30 albums, including recordings of mass anti-apartheid rallies and workers choirs, and even the occasional music video. He had a huge body of work that helped to launch point many careers (Vusi Mahlasela, Sankomota, Mzwakhe Mbuli, Tananas, Jennifer Ferguson, Johannes Kerkorrel, Koos Kombuis). This was the golden age of the long player, or LP – a body of recorded work of about 40 minutes broken up into two 20-minute sides. 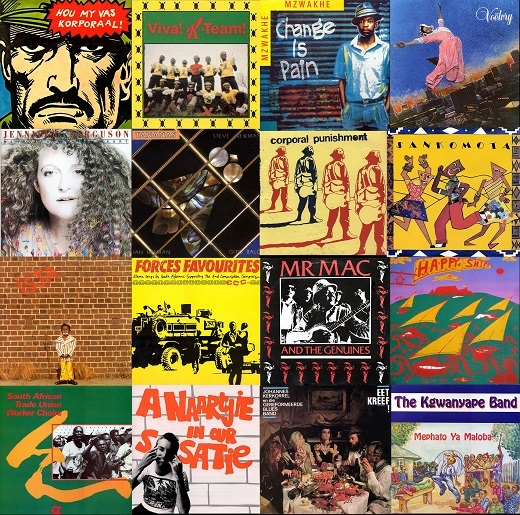 Reggae albums were shorter, because the wider the groove the fatter the bass (conversely, some classical music managed to squeeze in up to 30 minutes per side). LP covers were big, beautiful and expensive, and in the earlier days we would even do silkscreen covers by hand. There was nothing finer in life than to buy a new imported LP and open the large gatefold cover and inhale the smell of cardboard and ink. Secondly, in the greedy rush to be able to reposition back catalogue in the new format, record companies never considered what it would mean to hand out studio master tapes to all and sundry. Each CD is effectively the same quality as the music from the studio in which it was mastered. During the vinyl days there was always the sacred master tape somewhere, which held the only true quality reproduction of the work. The first Michael Jackson CD to come out was put to work in the Far East reproducing high-quality cassettes and clones of itself forever more. Music had changed. The biggest challenge of the recording business (and one independent producers still face today) was that distributing and marketing recorded works and radio in South Africa was always fraught with corruption and politics. I was recently in a quandary over what to do with my years of archival material as well as new recorded works. Having released my Kalahari Surfers music through various independent record companies in the past, I was pleased to find the possibility of running an online shop was a click of a mouse away. Just as the DIY ethic from the days of punk fuelled the breakaway indie studio / record label, so too the ability to own the means of production and distribution today is bringing forth a plethora of online indie and homegrown internet-based outlets. Using some easy-to-navigate platforms, Lester Gabang and I set up Sjambok Music. Ross gave us a harddrive full of the Shifty Records archives and we got to work. The idea was to recreate the original vinyl albums for download online with some extra free goodies thrown in with each download. We discovered a wealth of demos and unreleased material to draw from. The first upload we put together was the classic Sankomota first album with a whole lot of unused photos from the original Lesotho sessions. They were a three-piece band that had previously toured South Africa with a larger outfit under the name Uhuru, but because of their lyric content and provocative onstage outbursts of a band member who went by the name of Black Jesus, Sankomoto were thrown out of South Africa and sent back to Lesotho. Ross heard them playing at the Holiday Inn while he was there working on a documentary and fell in love with their sound: a distinctive fusion of Afro-jazz and rock with sharp lyrics delivered by Frank Leepa (the band’s singer-songwriter). He had a slightly punky vocal style, and band resonated with an attitude that was in keeping with the political climate of the time. I accompanied Ross on his mission to record them with the Shifty Mobile studio, which was built into a converted caravan. This acted as the control room and cables were run into a room at the old Lesotho broadcast studios. Initial recordings took just over a week, horns were added in and it was cut and pressed by EMI. 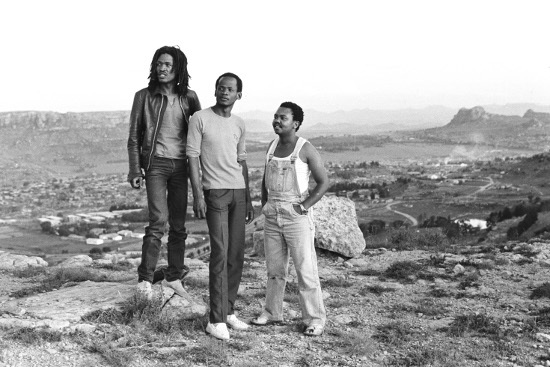 Promoting the album was difficult as the band couldn’t play live in South Africa and the SABC refused to play the recording, citing lyric and language “purity” issues. We eventually got some airtime through Radio Bop when the album was championed by a young Tim Modise, later to become one of South Africa’s most popular talkshow hosts. Radio DJ “Rock Professor” Chris Prior told Ross he eventually ended up buying three copies of the vinyl over the years, as he kept on wearing them out from the amount of time he had them on the turntable. The entire Shifty catalogue will make its way up on to our site you get the original album artwork package with free outtakes and more. Recently we uploaded the albums Goema and Mr Mac by Cape Town goema / rock band The Genuines (featuring Mac McKenzie, Hilton Schilder, Ian Herman and Gerard O’Brien). Their sound should have been to South Africa what ska was to the UK – a revival of a traditional music by a speed-rock band ahead of its time played with incredible precision and spirit. Other download reissues available are from the first wave of Boere punk albums: Voëlvry, Eet Kreef, Koos Kombuis, the band KOOS, as well as archival and recent Kalahari Surfers, glitch and art-dubstep from Dixx, and Die Wors Broers. I recently purchased a USB turntable. This brilliant invention will speed up the demise of the CD. It enables serious phonographers to play their vinyl into some software and export it straight to iTunes in MP3 format. While writing this I was happily listing to a rare Sun Ra Arkestra record through my computer. The past is downloadable now. Are those USB turntables any good? I’ve had a look at one or two of them in the shops and the styluses on them look very “cheap”. I could almost picture my precious vinyl records screaming out in pain if they were to be put to spin on those turntables. Can you really use those for professional recordings?